Application to Pay Filing Fee in Installments. 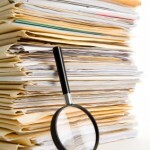 The new form removes the reference to the filing fee amounts. Application to Have the Chapter 7 Filing Fee Waived. In the new form, the actual filing fee figure is no longer included on the blank order form. Form 22A-1. Chapter 7 Statement of Your Current Monthly Income. 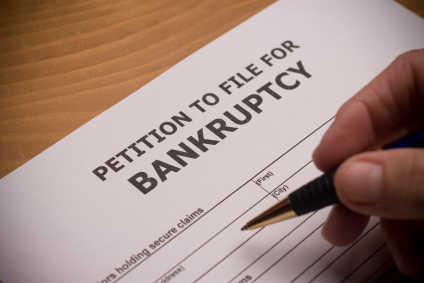 Everyone filing for Chapter 7 bankruptcy must complete this form. It calculates your current monthly income (which is actually based on your income from the previous six months) and compares it to the median income in your state for the same family size. If your income is above the state median, and you don’t fit into one of the categories in Form 22A-1-Supp, then you must also complete Form 22A-2. If your income is below the state median, then you don’t have to complete Form 22A-2. Form 22A-1-Supp. Statement of Exemption from Presumption of Abuse Under §707(b)2). 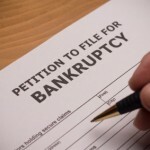 There are several instances when you do not have to pass the Chapter 7 means test in order to be eligible for Chapter 7 bankruptcy. If any of these apply to you, you must complete Form 22A-1-Supp. Form 22A-2. Chapter 7 Means Test Calculation. If your income is above the median income in your state, you must complete Form 22A-2. This form goes through a series of steps that look at your income and expenses and determine if you can afford to repay a certain amount to creditors. If you “pass” this part of the test, you can file for Chapter 7 (assuming you meet other eligibility criteria). If you don’t pass, you cannot file for Chapter 7. Form 22C-1. Chapter 13 Statement of Your Current Monthly Income and Calculation of Commitment Period. Everyone filing for Chapter 13 bankruptcy must complete this form. It calculates your current monthly income and compares it to the median income in your state for a same size family. If your income is below the state median, your plan will most likely last three years, and you can use your actual expenses when calculating your disposable income. In this case, you don’t have to complete Form 22C-2. If your income is above the state median you must also complete Form 22C-2. Form 22C-2. Chapter 13 Calculation of Your Disposable Income. If your income is above the state median, you must complete this form which calculates your disposable income using preset expense figures. The forms also have a few other changes throughout. For example, one revision makes clear where to list Internet expenses and another accommodates a U.S. Supreme Court decision regarding future income changes in Chapter 13 bankruptcy. On December 1, 2014 you’ll find the new forms, along with all of the other official forms, on the U.S. Court’s website, here. You’ll also find an explanation of each of the new forms in Nolo’s Bankruptcy Forms area (articles on the new forms won’t be posted until December 1).